Things can get pretty tricky for those of us who manage remote workers. The distributed team manager has unique challenges. You don’t have the “privileges” of the conventional manager stereotype — breathing down employee’s necks, meeting face-to-face in the conference room, chatting it up by the coffee maker, etc. But you do have the responsibility to manage your workers, distances and time zones notwithstanding. Thankfully, there are methods and strategies that can help any remote manager save his sanity. Here’s what you need to know about being an awesome project manager, regardless of where you or your workers reside.This article is for remote managers. Having been a remote worker for six years, and working as a remote manager for much of that time, there are a few tricks of the trade I’ve learned. What follows in this article isn’t your typical manager blather. This is for the remote managers only, and will give you straightforward advice to improve your game. Remote managers are a different breed in the world today. As such, we get to write the manual, redefine the rules, and rearrange the boundaries about location-independent team management. Remote work is becoming a lot more common. Many startups are hiring exclusively remote workers. Digital consulting companies, content marketing agencies, social media businesses, and SEO consulting firms are shifting towards the remote approach. Even traditional brick-and-mortar companies with a physical office may hire a remote content marketer or social media manager. Many managers must juggle the dual approach of remote management and in-office management. This article deals with the issue of remote management at a deeper level — the level of management strategy. Remote management is an awesome thing, but it can get a little hairy at times. 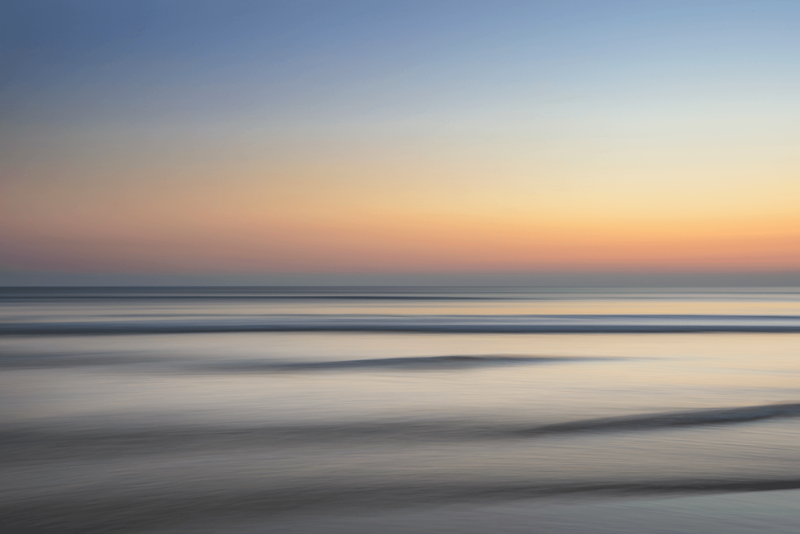 Thankfully, here are six tips for the remote manager that will save your sanity. 1. Aim for overlap time with your team members. 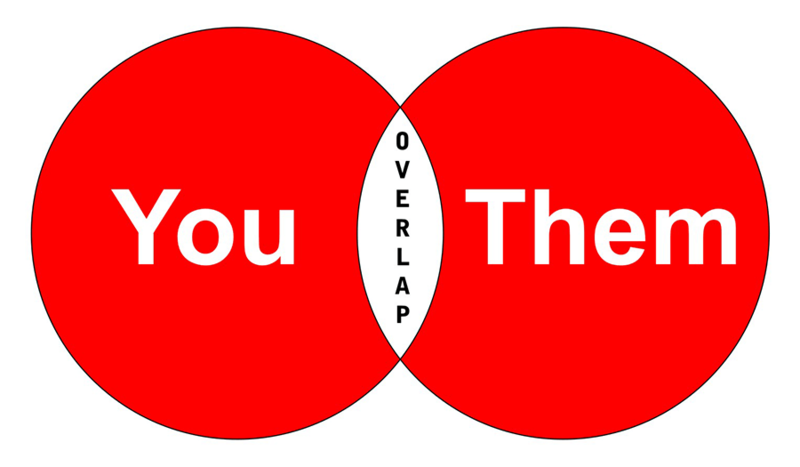 “Overlap time” is any period during the day that you are working online at the same time as your team members. For some jobs, overlap time is not necessary. For other tasks, it’s a critical component of getting things done in the business. Overlap time allows you to focus on any real time tasks that need to be dealt with. I’ve consulted for companies who insist on a three-hour minimum overlap time. Some companies are flexible with this approach, suggesting a wide breadth of time zones or schedules that they prefer the worker to keep. One of my colleagues works from the Philippines. She works late nights. I work early mornings. Together, we have a few hours of overlap, and it works perfectly. All told, I have daily interaction with people in five time zones. I’m able to overlap with most of them during my non-traditional workday. The overlap time requirement shouldn’t be too hard to achieve. I know of managers who live in Chicago, but have full-time employees in Eastern Europe. If the Chicago manager starts work at a traditional 8am opening time, the employee in Ukraine is just hitting 5pm traditional clockout time, thus providing a brief overlap time during traditional work hours. But who says that remote workers are traditional? Perhaps the Chicago manager enjoys early-morning productivity. Or, perhaps the Ukrainian employee prefers working late. Because remote workers are non-traditionalists when it comes to their working hours, overlap time is seldom a hurdle. 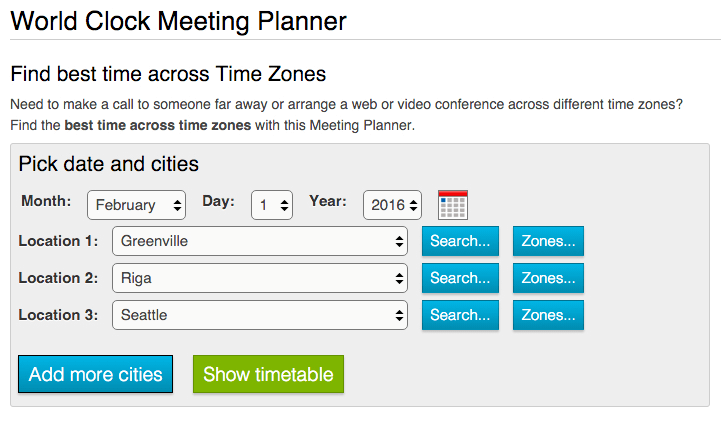 For a great way to juggle your time zone issues, try TimeandDate.com. 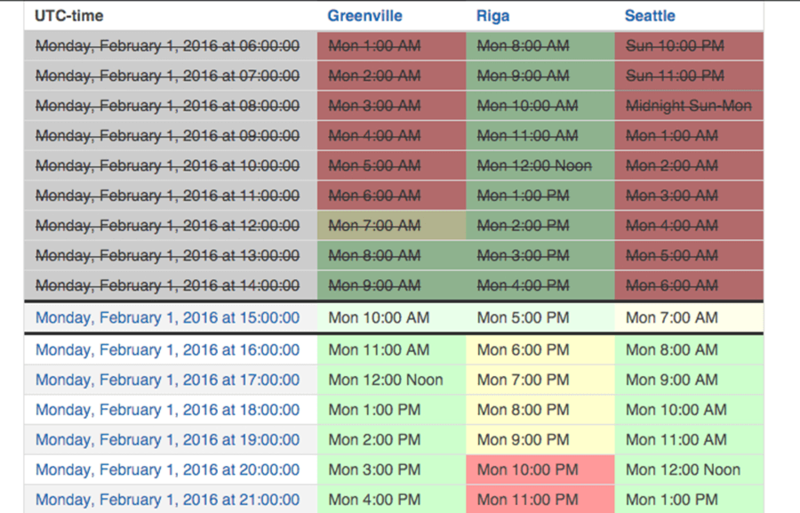 By plugging in your date and location, you can instantly find a time that will work for everyone. 2. Use cloud based software that works. 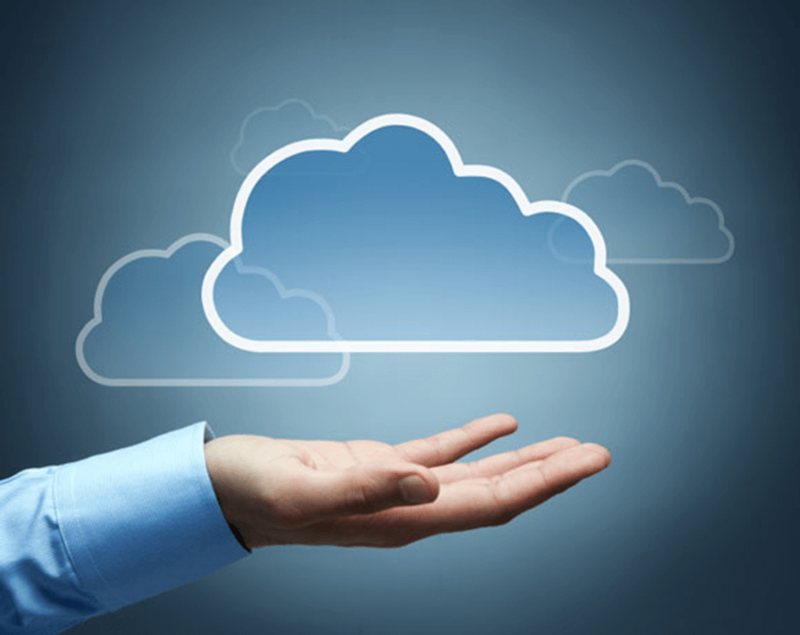 The cloud is the name of the game for remote workers. 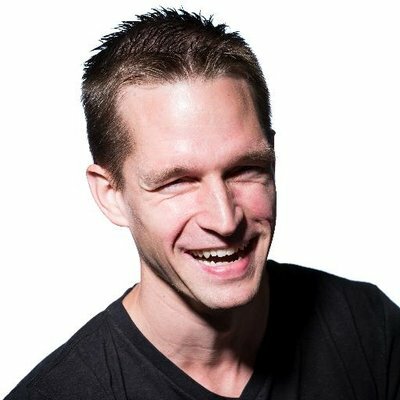 I make constant use of Google Drive, Skype, Gmail, Evernote, Dropbox, ConvertKit, Leadpages, and other cloud-based tools. 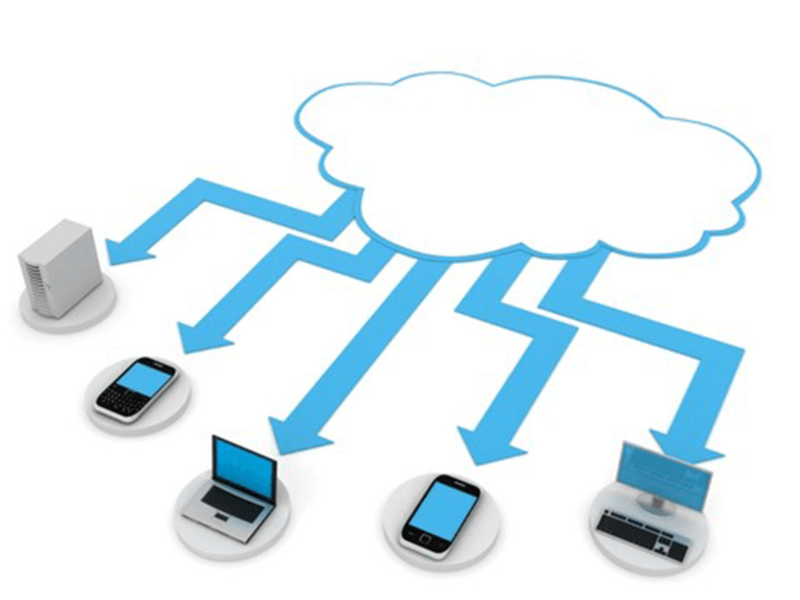 Cloud collaboration is critical. Working together means looking at the same stuff online. Email doesn’t always cut it. Besides, there are usually a lot of documents, designs, templates, or code that a business must maintain. All of this information needs to be stored in a way that all employees can access it, regardless of their physical locale. Make use of cloud software, and settle only for those products that are second to none in security, performance, and functionality. In order to pick up and work productively, all I need is an Internet connection. The same is true for all the members of my remote team. That’s because we use the best cloud based tools available today. 3. Give your team members the right tools. You may not purchase physical office space, but you should still provide for your worker’s needs. Remote workers need tools. By providing them with the right tools, you can increase their productivity and profitability. Here are a few managerial purchases that can improve productivity for the remote worker. 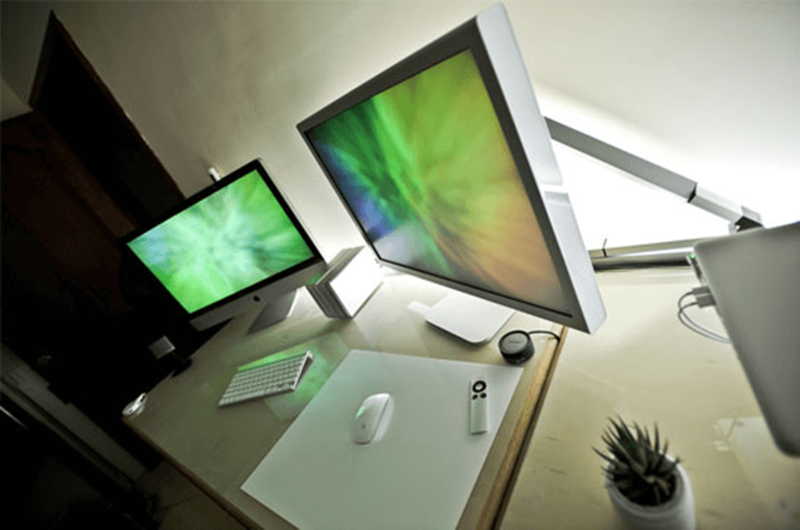 Larger displays or multiple displays usually improve productivity. The investment of a new flat screen monitor is miniscule in comparison to buying office space or office furniture. However, this comparatively small purchase can drive up the ability of your remote employee to do great work. I’m a standing-desk guy myself, but a lot of people can improve their productivity just by using the right office chair. 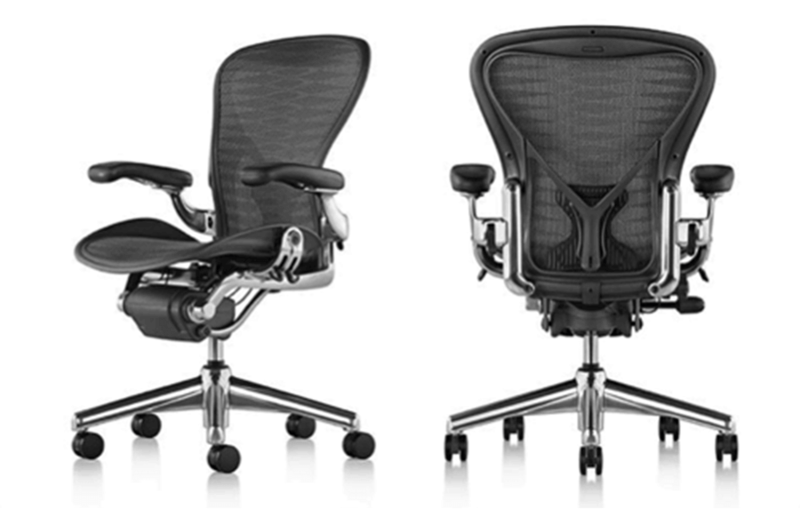 One company I know of hires remote workers, and ships them an Aeron chair. It’s not the cheapest thing to sit on, but it can improve work. 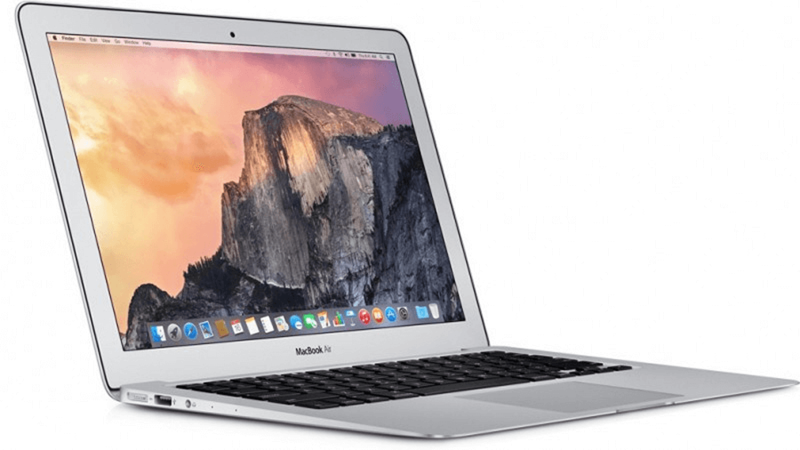 Some businesses purchase their remote employees a new Macbook Air. The only requirement for the new machine? It’s for work only. Not a bad perk, and it’s one that will definitely help the new employee get things done. As a remote manager, it’s your responsibility to see to it that your employees are well-provided for. Give them what they need, even if they don’t share office space with you. One of the most helpful things that I’ve done in my remote work experience is weekly phone calls. Again, you may or may not need such interaction, depending on what type of remote work you have going on. However, I can say that weekly meeting with my employees or managers is beneficial for working through important decisions, collaborating on key processes, and ironing out any delays or problems in the business. Sure, you can get by without it. Email works. But email is only one method of communication. As a manager, there are other ways of becoming invested in your worker’s lives, and helping to improve their work. It’s definitely worth a try. How should you meet? It’s up to you, but there’s always phone, Skype, and a variety of online meeting platforms. 5. 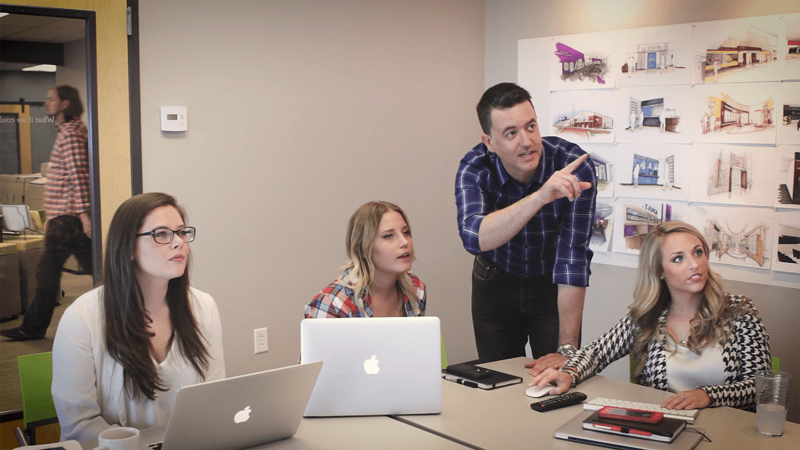 Use collaborative software that helps you visualize projects. Managers work on timelines. They have deadlines. There are moving parts, contributing members, and concurrent tasks. It gets complicated. Toss into the equation the fact that you never see any the contributing workers, and the job can get messy quickly. Unless you have the right software. Again, the cloud-based component is critical. 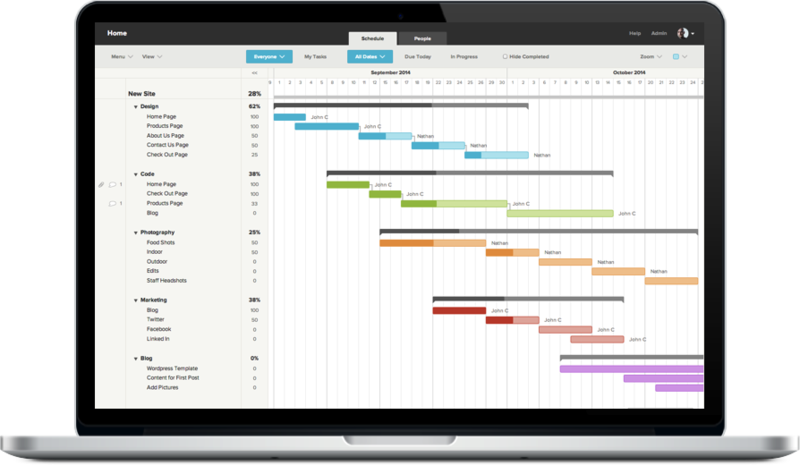 This is where I shamelessly recommend TeamGantt’s pure Gantt chart awesomeness for a powerful solution. Having experienced the productivity-enhancing powers of Gantt charts, this is an indispensable tool for any remote manager. 6. Be annoying about deadlines. In my line of work, deadlines are everything. At any given point in time, I have up to 80 client projects going on concurrently. This requires that every ounce of mental energy and is poured into maintaining those deadlines. Here’s what I’ve learned about maintaining deadlines with remote workers. Remote workers need to be reminded of deadlines via email and/or IM (chat). Without any in-office whiteboard calendars, you’ve got to do it the reminder way. Remote workers need to see the deadlines on the calendar. This is where the power of Gantt charts comes into play again. Remote workers need to know when they’ve crossed the deadline. If you’re letting deadlines slip, you’re letting your business fail. Workers need to know when something has been dropped, and how not to do it next time. Remote workers need to be reminded of deadlines. Again. Remote work is one of the best results of the information age. It can improve productivity, save cost, encourage freedom, and improve companies. But, like any modern change, it requires constant adaptation. Remote management is not for the faint of heart. 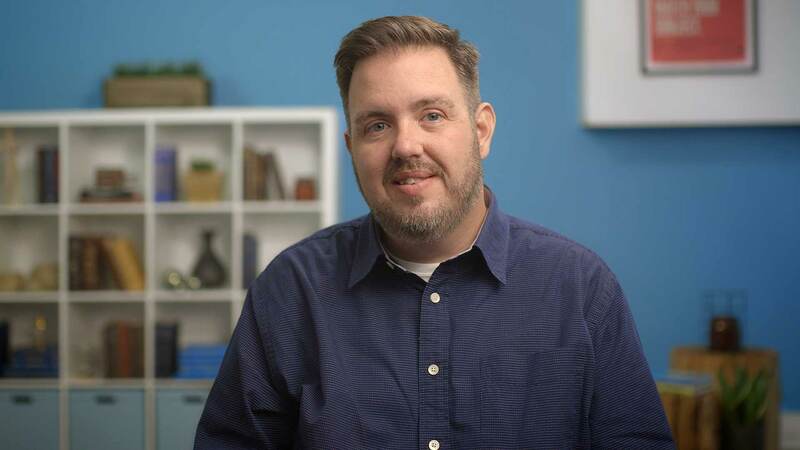 If you’re accustomed to traditional project management methods, then remote project management will come as a total surprise. The tools, approach, communication, style, oversight, and complexity can be bewildering, frustrating, and shocking. But there are ways to surmount and succeed. Now you know.